When I first heard about Kris Jenner's Great Gatsby -themed birthday bash, I was like, "come on Kardashians, you can do better than that." Every American college student has gone to a Great Gatsby-themed party and it's usually pretty basic: people wear a lot of feathered headbands, there is a ton of booze, and at least one person gets drunk and starts reciting a soliloquy about how he's just like Jay Gatsby (and it's always a snooze-fest). But, after some careful consideration, things have become clear: The Kardashian-Jenner-Gatsby party theme is brilliant. The Kardashians are brilliant. And I believe the Kardashians should throw even more literary-themed parties. Let me explain why. The Great Gatsby was apotheosis of the jazz era. It was all about the clothing, the excess, and the decline of the American dream. It's a classic. That is why you probably read it in high school (or at least watched the film adaptation with Paul Rudd in high school). I wholeheartedly believe that the Kardashians saw past the flashy and sparkly parts of the book and instead choose the novel as the party theme because of it's social commentary on social classes. 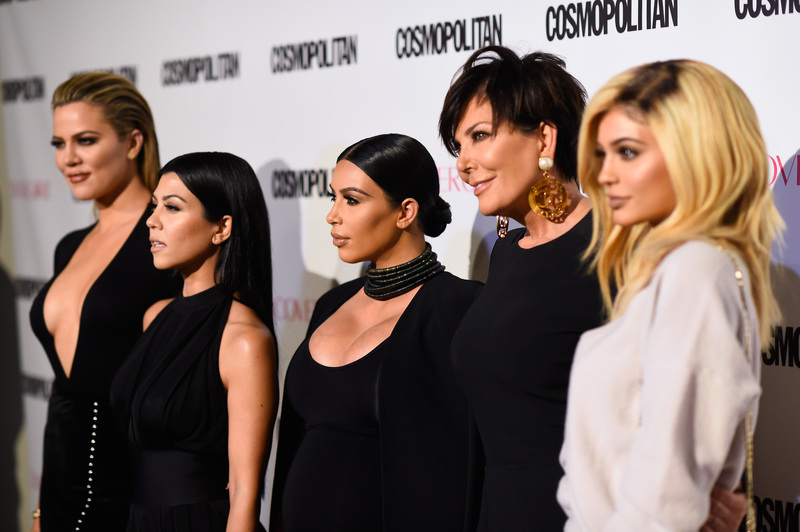 By hosting this event, the Kardashians are participating in a meta examination of their role in society. It's so smart! Since the Kardashians have already expressed their inclination towards party themes with social commentary, George Orwell's Animal Farm, an allegorical tale about the Russian Revolution of 1917, would be a perfect fit for them. Party guests could dress in their favorite animal onesies and discuss that, while all Kardashians are equal, some Kardashians are more equal than others. Like Khloé, she's everyone's favorite. The Catcher in the Rye would make an amazing Kardashian party theme. They know all about the battle between authentic vs. artificial. The Kardashian-Jenners could dress in various shades of plaid, host their event in a rye field, and write a lot of self-absorbed tweets about the event. J.D. Salinger would be so proud. The Kardashian women are all-too-familiar with tragic romances — this leads me to believe that Leo Tolstoy's Anna Karenina would be a perfect fit for the Kardashian's next family gathering. And, if the 2012 film adaptation was any indication, the clothing for an Anna Karenina affair would luxe, over-the-top, and perfect for a Kardashian gathering. A lot of the Kardashians have now spawned mini-Kardashians, so it would only make sense to celebrate the next generation of Kardashians with a party theme based off America's greatest children's book, The Cat in the Hat. Also, a larger-than-life figure who does crazy things to entertain us? That sounds exactly like a Kardashian. Jane Austen's Pride and Prejudice features five sisters whose mother is obsessed with improving the family's fortune. The world's greatest momager, Kris Jenner, probably relates with Mrs. Bennet — so, there you go Kardashian family: I've found the theme for Kris' next birthday bash. Homer's epic poem, The Odyssey, features hero Ulysses' adventure through the Greek Isles to return home. So, obviously, an Odyssey-themed Kardashian party would features a week-long boat ride along the Greek coast. I am 100 percent on board with this party theme and cannot wait for the Instagram posts. A novel about the breakdowns of society against the backdrop of a tropical island sounds like the best party theme ever. We could see the Kardashian family wear beautiful resort wear while discussing the savagery of society. This party sounds like great family fun. So party on Kardashian family, you guys are the new American classic.